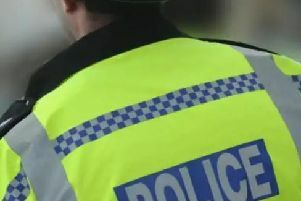 Thames Valley Police is appealing for witnesses after a 14-year-old girl was assaulted by a man at 8.15am yesterday (May 10). The girl was walking to school along Cambridge Street and Windsor Street when a man approached her and grabbed her arms. She was left with bruising and reddening to the skin. The offender is black, 6ft 2in and overweight, aged 25-years-old with crooked upper teeth and a grill on his lower jaw that was silver and gold. He wearing navy blue nylon tracksuit bottoms that were tight around his legs and a navy blue hooded top. He also had a colour tattoo on his right wrist. Thames Valley Police is appealing for witnesses and asking if anyone recognises the description of this man to get in contact. If you have any information relating to this case, call 101 quoting reference '43180140239', or contact Crimestoppers anonymously.